After the high-profile events of August, an unusual lull befell the battlefields of the sanctions war. The sanctions have ceased for the time being to be a direct cause of volatility in the stock market and foreign exchange markets. Investors are now waiting for November when the Americans are to declare more sanctions over the chemical incidents (Syria and Skripal), citing the Chemical and Biological Weapons Control and Warfare Elimination Act of 1991. However, in September and October, the US and the EU have adopted at least three important documents on Russia, including two Executive Orders by the President of the United States (Nos. 13848 and 13849) and the European Council Decision on chemical weapons (2018/1544). The markets have seemed not to even notice these documents. Yet, they may eventually augment the repercussions from the expected November sanctions. The first document, Executive Order of the President of the US No. 13848 , creates a mechanism for imposing sanctions in response to interference in American elections. The Executive Order itself does not rule out being developed into new sanctions bills in the Congress. The legislators may well incorporate it into new laws. However, Donald Trump seized the initiative and preempted Congress in its lawmaking creativity concerning election intervention. The concept of intervention is interpreted very widely; it includes a possible hacking of the voting system, propaganda and misinformation. Moreover, the threat appears to lie not only in the possible influence of the election results, but also in undermining public confidence in the election process or in its institutions. These initial assumptions provide the widest range of interpretation. Whereas a hacker attack can actually be identified as such, the question of what is propaganda and what is not, and how exactly confidence in institutions has changed is subject to loose interpretation. The Executive Order requires the National Intelligence Agency, in cooperation with other relevant US departments, within 45 days of the completion of an election, to prepare a report evaluating any possible intervention by foreign governments, individuals or legal entities under their control. The report is to be based on a thorough evaluation. The coordination of the agencies involved and the methodology for preparing the report were to be completed on October 12, that is, one month after the Executive Order was issued. Based on the post-election report, the Treasury Department, in cooperation with other departments, is authorized to use sanctions against certain individuals – in this case, it is the freezing of the assets of these individuals in the United States. The Secretary of State and the Secretary of the Treasury can also propose sector related sanctions. Further recommendations include the scope of other sanctions traditional for the US authorities: restrictions on export licenses, a ban on lending and financial and exchange transactions with the individuals under the sanctions, a ban on investments, visa restrictions, sanctions on company executives, etc. A report on any encroachment in the November midterm elections should be due by mid-December. Taking into account the accusations already made against Russian citizens of interfering with the midterm elections, as well as the possibility of a broad interpretation of any actions by Russian government and non-governmental agencies, the December report will most likely include the “Russian trace.” It might be diluted with other traditional evil-wishers like China, North Korea and Iran, but the main question is how exactly the sanctions will be calibrated to the scope of the alleged foreign interference identified. Freezing alleged hackers’ assets is one thing, but sectoral sanctions are something else. Another Executive Order, No. 13849 , includes actions aimed at implementing certain sanctions from the Countering America’s Adversaries Through Sanctions Act (CAATSA – PL 115-44), and the Ukraine Freedom Support Act of 2014 (UFSA – PL 113-272). Sections 224, 231, 232 and 233 of CAATSA include sanctions imposed over cyber issues, sanctions for interacting with the Russian defense industry and special services, restrictive measures against Russian pipeline projects, and restrictions on participation in the privatization of Russian state assets. According to CAATSA, the President of the United States is required to use at least five of the twelve types of sanctions listed in Section 235. Executive Order 13849 reflects the entire scope of sanctions required by Congress and measures for implementation. In other words, the President is showing his commitment to the existing legislative provisions, although his order reflects a selective set of CAATSA sections. The order does not mention so far any specific company names, but these can be determined by the relevant departments (primarily the Department of the Treasury) as they go along. Unlike the intervention order, Order 13849 is more of a routine nature. The key question is who exactly will be on the lists. 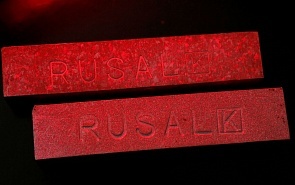 The April 6 sanctions against Rusal and other companies show that a variety of players could be hit. Finally, an important document was adopted by the European Council – Decision 2018/1544  concerning restrictive measures against the proliferation and use of chemical weapons. The document envisions visa restrictions and the freezing of the assets of individuals and legal entities responsible for the use of chemical weapons, or who have provided technical, financial or any other assistance necessary for their production or use. This new restrictive document might have some connection with recent US moves. In August, chemical weapons were the reason for the development of sanctions against Russia both by the Congress (the DASKAA bill) and by the Administration (based on PL 102-82 of 1991). The European Union could hardly have avoided the new wave of sanctions, especially since Brussels expressed solidarity with Great Britain in the Skripal case and was generally on the side of those who condemned the Syrian government for the alleged use of toxic substances. Nevertheless, the European Council has so far refrained from applying sanctions against Russia on the “chemical package” and did not mention Russia in the document at all. The Decision is essentially framework document that authorizes the use of sanctions against any country. For the EU, this formula seems to be acceptable as a compromise. On the one hand, Brussels reaffirmed its solidarity with the US and Great Britain and showed that it is doing something. On the other hand, it has not spoiled relations with Moscow, so the interests of those EU countries that are actively trading with Russia are not affected. Much will depend on how Brussels will use this framework document. The EU may well impose real sanctions following the November measures by Washington; but it could also refrain from taking this step, given the unclear points remaining both in the Skripal case and in the Syrian file. The first scenario will obviously keep up and even heighten political tensions. However, the EU is unlikely to impose sector related sanctions over chemical issues at this stage. Therefore, any new business risks are still mainly associated with US sanctions.